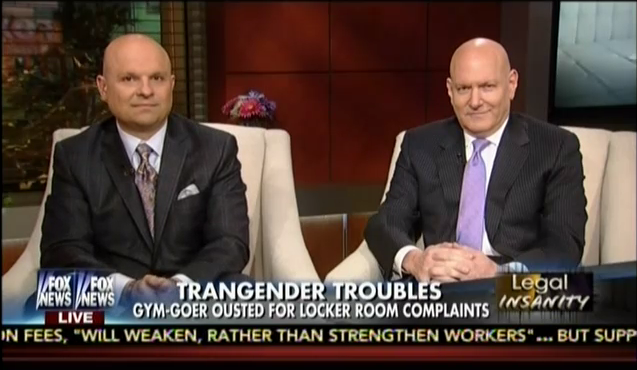 Why Doesn't Fox News Host Transgender Guests? 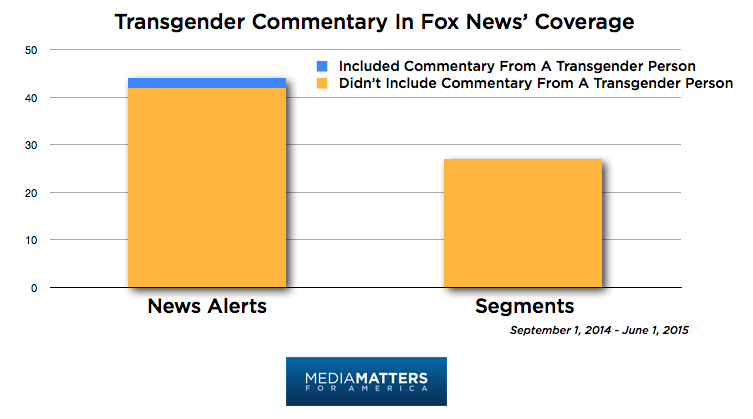 Regular Fox News viewers have no doubt heard a lot about transgender people lately: as America's cultural shift toward greater understanding of this community grows, so has opposition to it. But it's also likely Fox viewers have never actually seen or heard a transgender person on television, because Fox News has almost entirely excluded transgender people from its broadcasts, even as it continues to produce inaccurate, dehumanizing coverage of transgender people. It's not hard to imagine why Fox News might be avoiding bringing transgender people on the air; doing so would give them a platform to correct the anti-trans misinformation frequently peddled by the network and humanize transgender people in the eyes of Fox's viewers. Instead, Fox routinely treats the fight for transgender equality and acceptance as little more than a joke or a product of the "PC Police." Free from any transgender guests who might call them out on their behavior, Fox hosts regularly misgender trans subjects, mock their appearances, and peddle junk science about their medical treatment. [A]ccording to a GLAAD/Harris Interactive poll, only 8% of Americans say they personally know someone who is transgender... [W]hen a stereotypical or defamatory transgender image appears in the media, the viewer may assume that all transgender people are actually like that; they have no real-life experience with which to compare it. Given the growing epidemic of violence against transgender people, it's more important than ever that Fox News improve its coverage of trans issues. An easy first step would be giving transgender people the opportunity to tell their own stories and to ensure that the network's reporting speaks to, rather than about, the trans community.